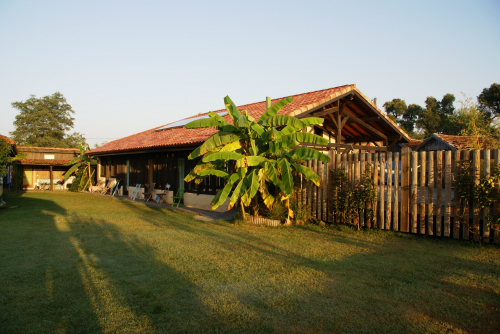 Eco-friendly surf camp located in Seignosse and most probably the best surf camp in France. Out in the nature, great team, with all the facilities and unique in every way. 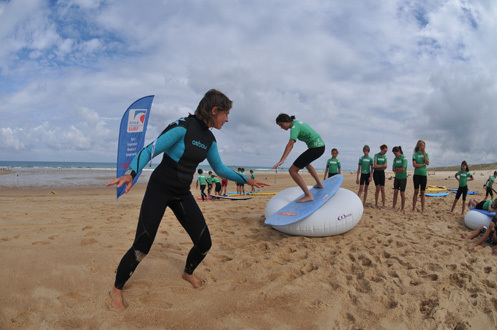 This Surf Camp & Surf School is often recognised by many travellers and reviews as the best surf camp in France and one of the top surf camps in the world. 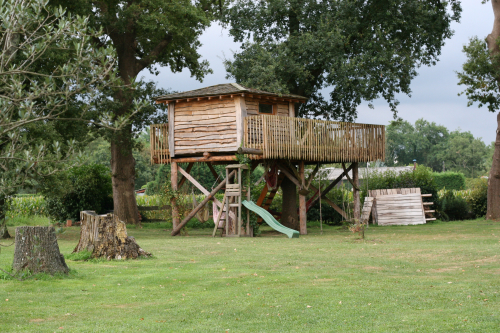 Surrounded by pine trees, with an eco design and more facilities than any other surf camp, this is the perfect choice for your surf holidays in France. 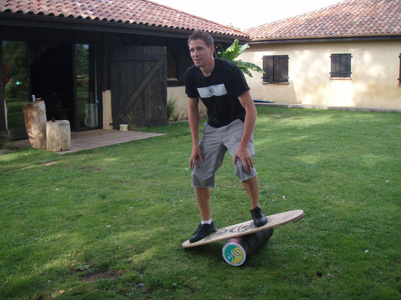 Seignosse is about only 30 km away from Biarritz and arriving to the Seignosse Surf Lodge & Camp is already a worthwhile amazing experience, as you will feel like getting away from the world as you know it. 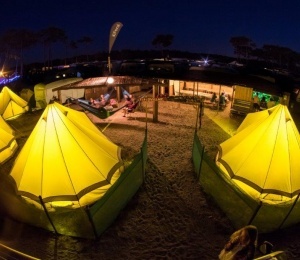 The lodge is in a peaceful environment, surrounded by nature, yet close to the best French surf spots of Hossegor and Seignosse, where every year the Quicksilver Pro, a regular stage of the World Championship Tour of Surfing, takes place. 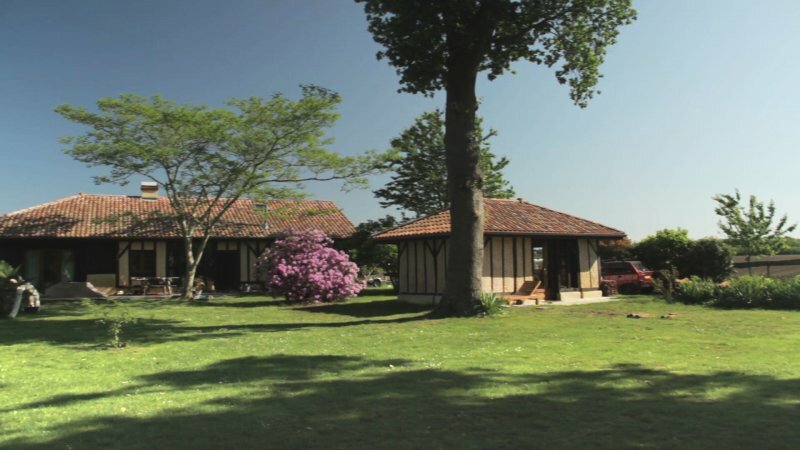 The surf camp is located on a plot with 4,300 m2, surrounded by gardens and oak trees with more than 200 years. Every guest can use our facilities and equipment, namely the fully equipped kitchen, pool table, BBQ, tree hut to read, hammocks, large jacuzzi and steam room, etc. 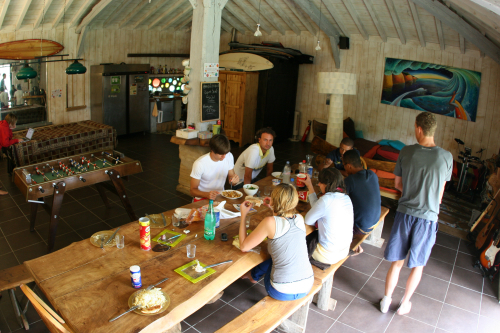 The surf camp is located inside of a Natural protected Park, offering very comfortable rooms appropriate for single travellers, junior surfers, bungalows for groups of friends and families, or anyone looking for a surf experience in France with a strong contact with nature. 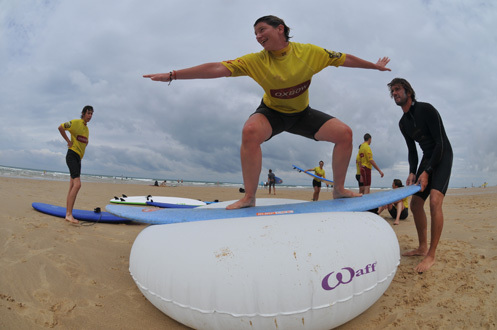 Unmatched facilities, genuine hospitality and top surf school tuition will offer you unforgettable surf holidays in France. 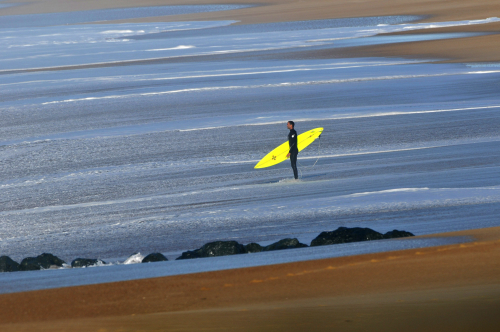 Apart from having the most consistent surf spots in France, Seignosse has an amazing surf culture. Its town centre is home to many surf outlets of brands like Ripcurl, Billabong, Quiksilver, Roxy, Globe, Element, or Volcom which makes it the ideal place for shopping. You can feel it in every wave, corner, cafe, shop, bar or restaurant. Despite being a world known surf spot for its challenging barrelling waves, a long stretch of sand offers you endless easy beach breaks to chose from, appropriate to all surf levels. 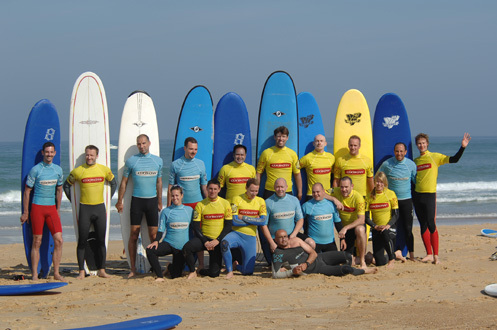 Let the instructors of our surf school and safari guides lead you to the best waves in France and relax. 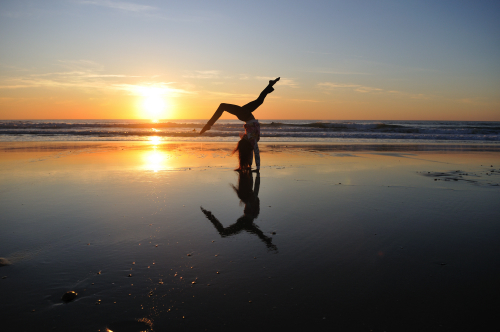 Just enjoy all the good things that Seignosse Surf Lodge & Camp has to offer. 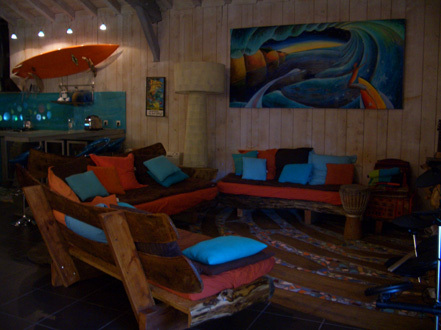 The Seignosse Surf Lodge & Camp is more than a surf camp. This is a place where you can learn how to surf or develop your surf skills in community and integrated with nature. 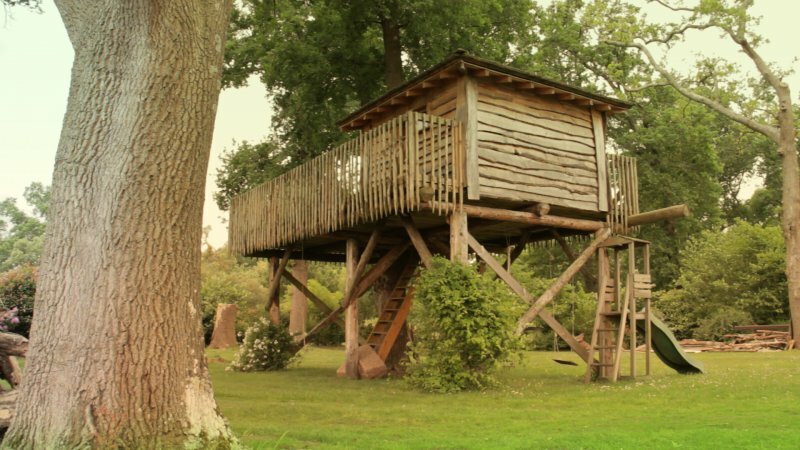 The surf camp is located between the beaches of Seignosse and Hossegor and the pine tree forest, right in the middle of a Natural Park. 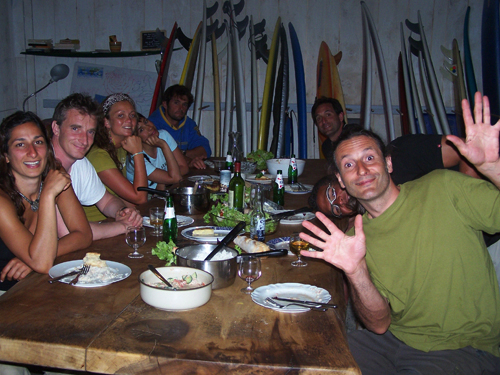 It combines the surf spirit with strong ecological standards like no other surf camp in Europe. Surfers can notice the eco-responsible concern in every single detail: the use of natural materials (local wood, natural coatry, local stones) and energy use (solar panels) for self-sustainability. The result is a mix of authenticity and originality with an artistic touch creating a unique eco design. 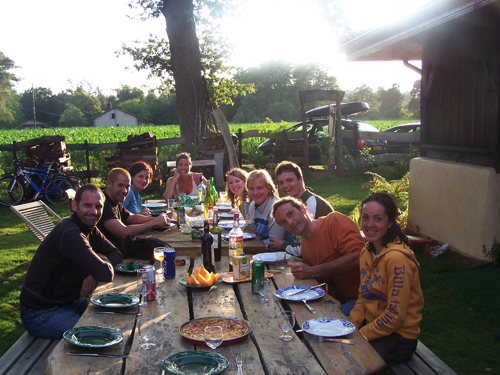 Stéphane, Claire and their team offer unique common spaces and lodging in a typical french farm fully renovated. What was previously a farmhouse 300 years ago, is now a completely renovated surf house with all the facilities you ever imagined for the best surf holidays! Seignosse Eco Surf Camp & Surf School has spacious rooms that can accommodate up to 4 people (2 beds downstairs and 2 upstairs on the mezzanine level) with air conditioning system and bathrooms suitable for single surfers, junior surfers, groups of friends or even families. The Seignosse Surf Lodge & Camp also has private suite bungalows with its own bathroom recommended to couples or guests looking for deluxe accommodation. 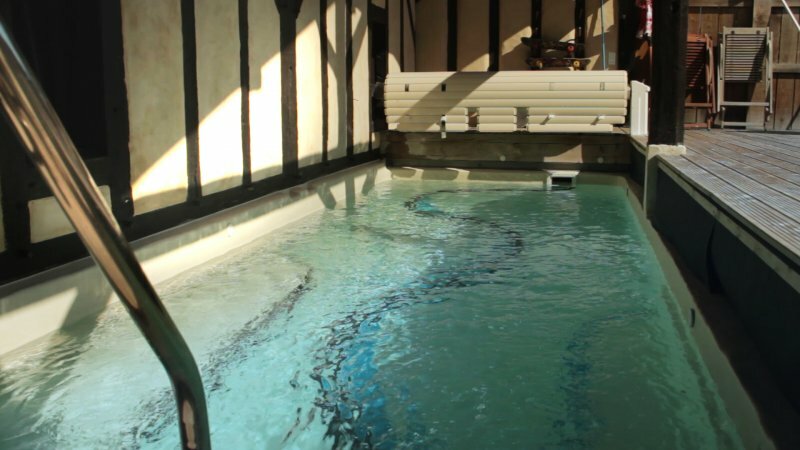 Communal areas like the fully equipped kitchen, lounge with DVD, video, WiFi, Wii, foosball and pool table, the warm hydro-massage pool and the skate pool will make your stay at the lodge to be worth every minute. 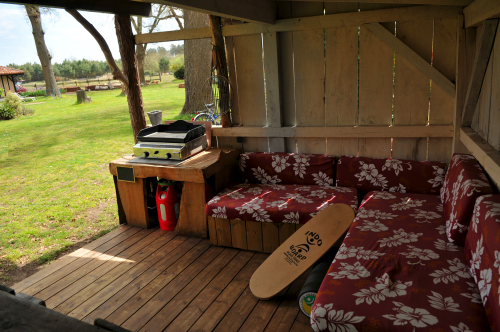 For those coming solo, with families or travelling on a budget the surf camp offers sharing accommodation. Shared rooms can accommodate up to 4 surfers. 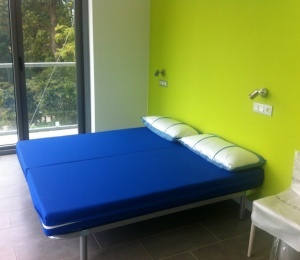 These rooms have 2 floors with 2 individual beds per floor. Each room has its own shower and toilets and is equipped with air conditionned system, linen, and nicely decorated with surf culture vibes. Specifically for families we offer a house with capacity up to 5 people with one double bed and one single bed downstairs and two single beds in mezzanine. Enjoy quality time like never before! 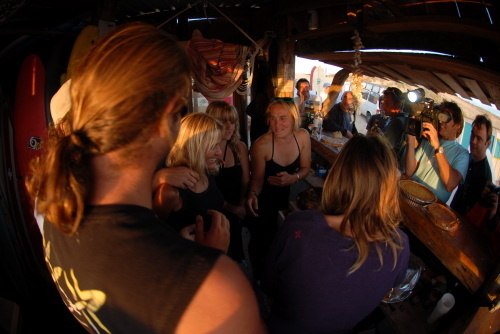 After a good day surfing, it's always good to spend some time with friends on the house tree for a Yoga session or an "après surf" beer, lemonade, Bordeaux or barbecue! 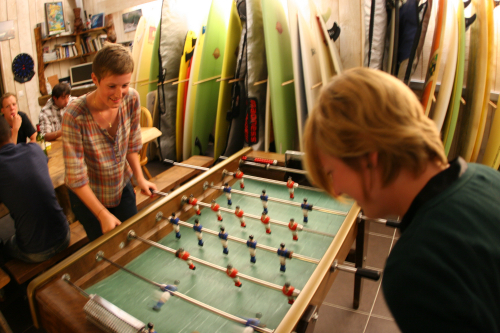 What else do you need for perfect surf holidays in France? 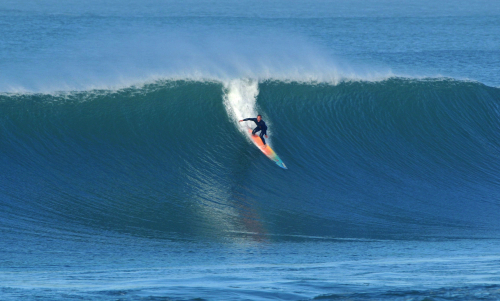 The Atlantic and Occidental French Coast has the longest surf tradition in Europe and is still one of the most popular surf destinations in Europe. Its consistency and quality waves brings the ASP World Championship Tour every year to the Quicksilver Pro France stage in September with the best surfers in the world. From big wave surf to amazing barrels, a big stretch of sand offers you many beach breaks for all surfing levels! 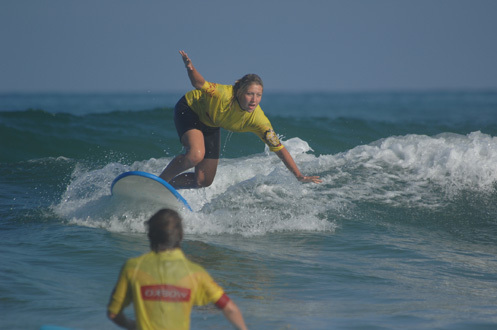 Our surf instructors and guides will make sure that you get the best waves every day. All surf sessions are prepared previously according to swell and wind conditions so that we can take you to the best surf spot on each day! 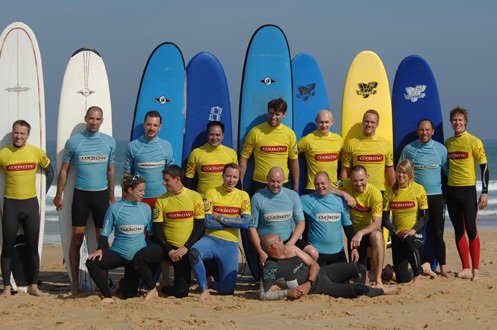 Here you can surf some of the most famous surf spots like Hossegor and Seignose, yet our surf guides and instructors may take you to other surf spots. If you want to French surf spots like La Nord, La Gravière, La Piste, Capbreton, Biarrtiz, Les Estagnots or Les Bordaines then you recommend the surfari package to be able to travel the entire area. 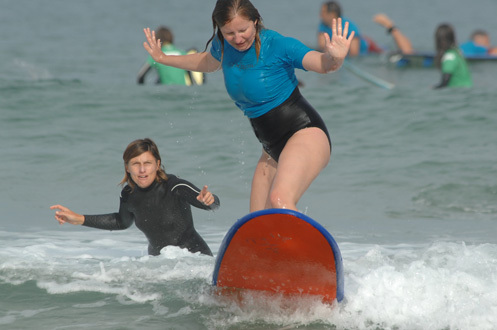 If your surf level is not advanced, then we will recommend the surf camp package that includes surf lessons. 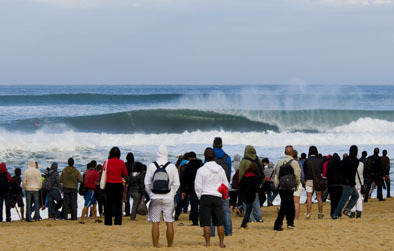 Despite its popularity and challenging waves, Hossegor it's not only about professional and expert surfers. This is actually one of the best spots to learn to surf, due to its variety of beach breaks producing smooth and easy waves, spread all along the coast. 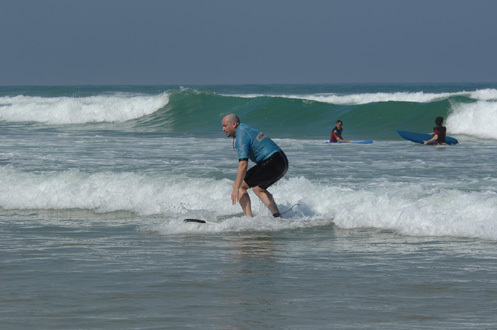 Our Surf School has more than 100 surf boards for all types of surfers from beginner to expert, children, men or women. 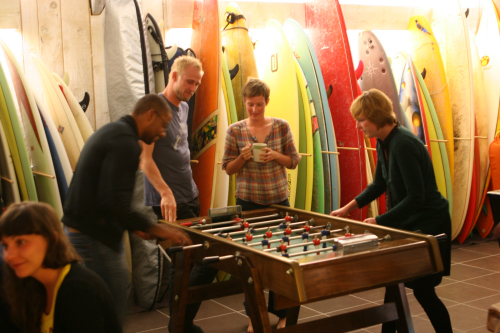 In all inclusive packages surf equipment is at disposal for the whole stay. We also rent out surf gear. 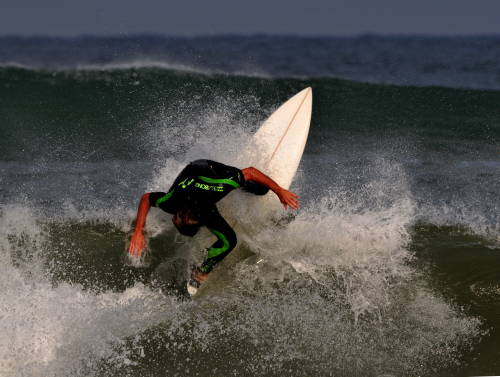 For more advanced surfers and those looking to improve not only their surf skills but also their physical conditions, we will provide appropriate training from bottom and quadriceps to lower back muscles. 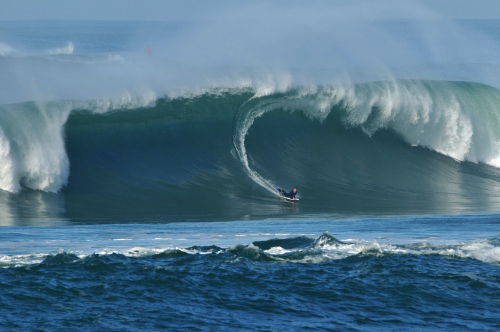 Feel this unmatched experience of surfing in a naturally beautiful and preserved place surrounded of amazing landscapes. 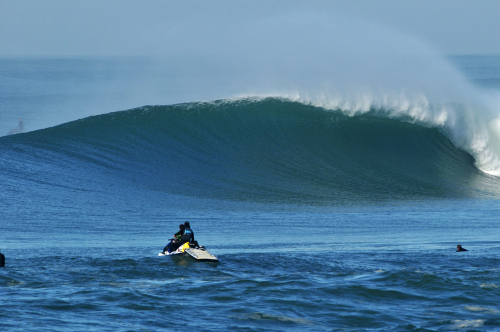 Check the pictures and video and get ready for unforgettable surf holidays! SURFINN © 20-04-2019 12:43:07. ALL RIGHTS RESERVED.